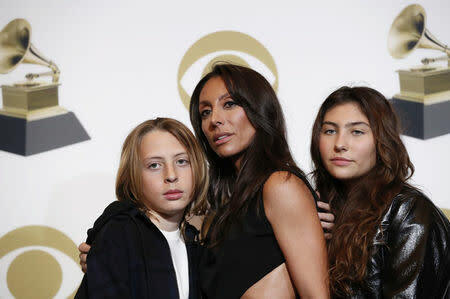 LOS ANGELES (Reuters) - Two of Chris Cornell's children accepted his third Grammy award on his behalf on Sunday, more than a year after the grunge rocker died. Cornell won best rock performance at the Grammy Awards pre-show on Sunday for his song "When Bad Does Good," a previously unreleased song which came out as a single after he died. "We saw him work on this so hard," his daughter Toni said backstage after accepting the award on his behalf. "It was really sad that he couldn't be there himself to accept it." Cornell's children, Toni and Christopher, wore mostly black to attend the awards ceremony in Los Angeles. Toni's T-shirt bore an image of her father. Cornell's previous Grammy Award wins were also in the performance category. He won for his performance of two of his best known songs, both released in 1994, "Black Hole Sun" and "Spoonman."